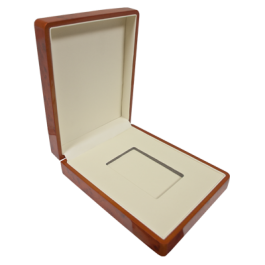 Walnut look, high gloss finish display box with pale beige interior. 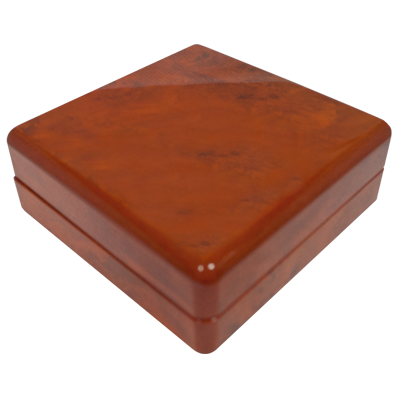 Bespoke product specifically made for UK Bullion. Suitable for the following bullion coins:!oz Gold Britannia, 1oz Gold Krugerrand, 1oz Silver Britannia. 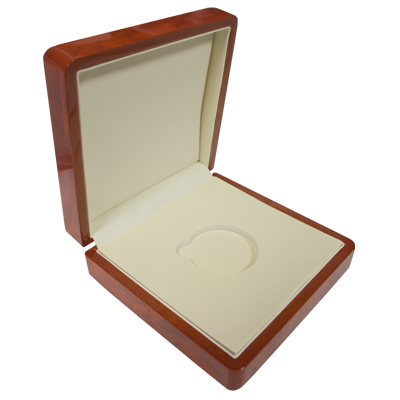 Your Premium Display Box For Bullion Coins will be delivered to you free of charge and fully insured during transit, in a nondescript package that will not draw attention to the nature of the contents.